Marisa and Adam’s California wedding had gorgeous natural elements — tons of flowers, bright yellow colors and even horses! Their location was gorgeous and went perfectly with their theme. 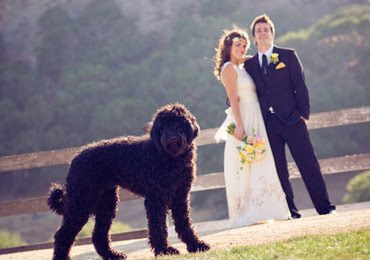 Of course, their day wasn’t complete without their adorable dog. 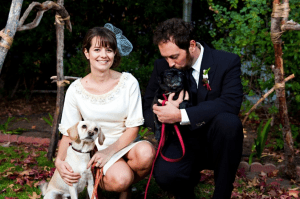 We absolutely loved how they included their dog in their wedding photos! Read more about their wedding here! Bronwen and Matthew’s wedding in Pasadena, California was designed around a very organic and intimate feel — and their photos definitely show their creativity and hard work! 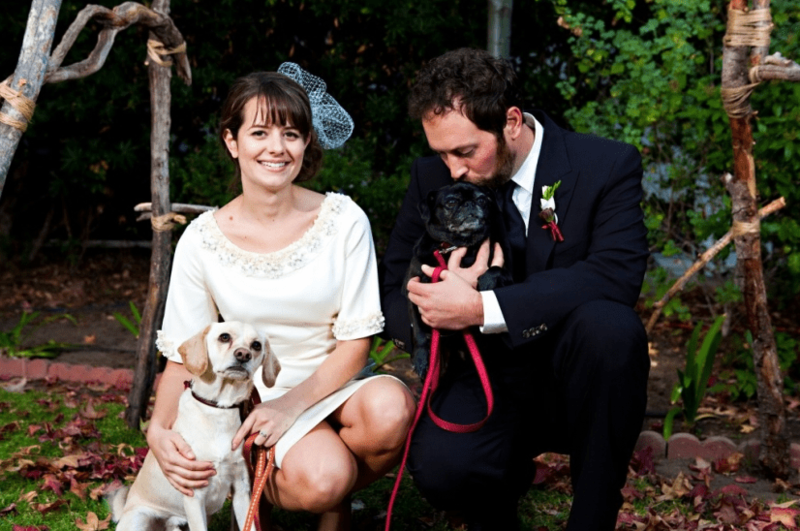 Among the many personal touches at their wedding included their two dogs Fosse and Snoop, walking down the aisle. 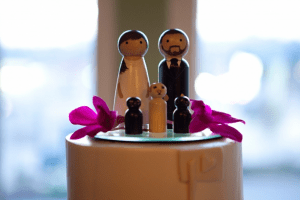 They even had them on their wedding cake topper! Read more about their wedding here.